Alexis Prieto’s performance of 'Balay ni Mayang' -The Voice Kids - Balita Boss! Watch video of Alexis Prieto’s performance in the blind audition of The Voice Kids Philippines Season 2, July 4, 2015 episode. She delivered a rendition of Martina Sandiego and Kyle Wong’s "Balay ni Mayang" as two out of three coaches turned their chairs around. Coach Bamboo and Coach Lea turned their chairs for Alexis. 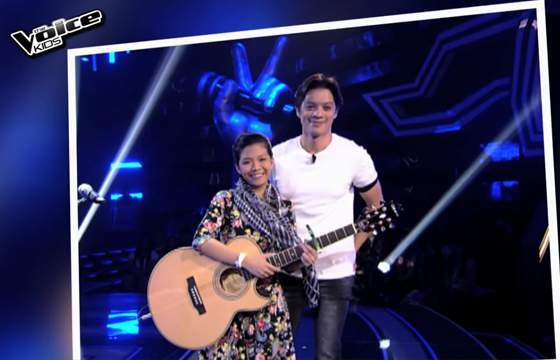 The thirteen-year-old singer from Cebu chose Team Bamboo.